The Twinsburg Karate Institute is a safe, family-oriented, environment where children, teens, and adults can learn martial arts. 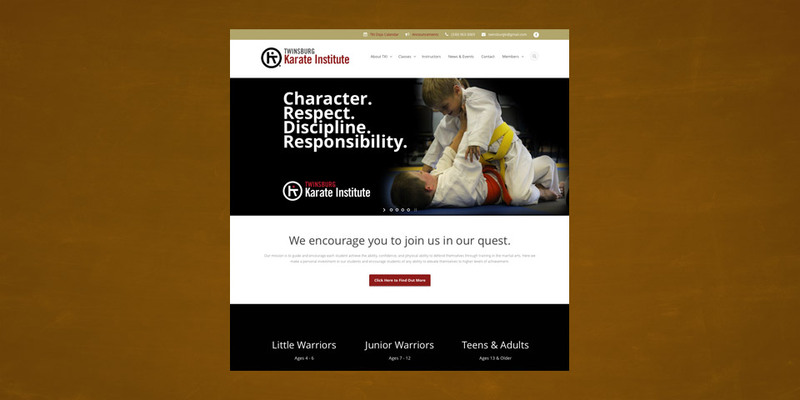 Training at the Twinsburg Karate Institute will help you develop martial arts and self-defense techniques that will serve and protect you for a lifetime. Their focus, however, is to develop life skills in our students that will build character, respect, discipline, and responsibility. From the moment that you or your child walks in the door, responsibility for their actions and respect for others will begin, and continue well outside our dojo. They challenge themselves and their members to begin a journey to be better students, better citizens, and better people.